I think they ended up really cute and fit the decor in our master bedroom very nicely. Plus they were really easy to make and pretty cheap too! I already had some of the materials I used so it cost me less than $20 to make both of them. If you needed to buy all the materials I think it would cost you around $40, which I think is still pretty reasonable for what you end up with. So here is my tutorial so you can get in on this simple craft! Next take your Inka Gold and gently rub that all over your canvas. You need to use a soft sponge or soft cloth the be able to rub the ink in, you can check out exactly how to rub the ink in on my tutorial for the advent calendar. Once again, you don't need to be too concerned with complete coverage, any small spaces you miss with the gold will show the light brown so it will blend nicely. Just make sure you don't leave the gold "patchy". As you can see, it leaves a nice sheen but isn't too overpowering because of the light brown on the canvas. Also, I didn't put any gold on the sides, I didn't think it was that important so I didn't bother with it. Next I drew my heart on the canvas, the heart I drew measured 7 X 8 and fit very nicely into the center of my canvas.. I wanted to make sure my heart was symmetrical and precise so I decided to use a stencil to draw it. I first traced the stencil with pencil and then when I was sure I had everything how I wanted it I went over it again in black marker so I could see my outline easily. Then I went a began laying my sticks out. Now I tried this two different ways, first time I went and put the sticks on top of the stencil and then transferred them over. The second time I just laid the sticks directly onto the canvas. Time wise they were both about the same, but I did have to make some adjustments to the placements of the sticks when transferring them. However, when I was placing the sticks a lot of dirt and bark came off onto my canvas and stencil so putting them directly onto the canvas first did make a little bit bigger of a mess. You could do it either way honestly, its just about what you prefer. The big thing is to NOT glue your sticks down until you have placed them all on either your canvas or your stencil first. You will end up moving sticks around so you don't want to glue until you're sure where they all should go. Once your sticks are laid out you can use your hot glue gun to glue them all down onto your canvas.Once everything is secure its time to paint! Get your white acrylic paint and use a semi-stiff stippling brush and start to paint. I would gently brush on the edge of the heart to make sure I didn't get paint on my canvas. Then for the center I would stipple the paint in with the brush. This allowed me to make sure I got the paint in between the twigs and under the bumps of the larger twigs for a complete coverage. Note: The Inka Gold makes the congas semi-non porous so if you get a little bit of white paint on the canvas you can wipe it up with your finger quickly so don't freak out if you go out of bounds a little. Once the paint is dry you can start cutting your letters. I used gold vinyl from Cricut for this. If you don't have a Cricut machine don't worry. 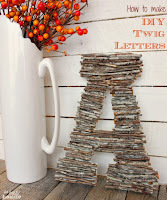 You could use an alphabet stencil and ink to paint the letters directly onto your sticks. For my machine I used the Elegant Cake Art cartridge and use the Champagne Toast font which I think came out very nicely. The important thing when working with vinyl in your Cricut is to make sure you have a "kiss cut" which is where the blade cuts through the vinyl while leaving the backing intact. At the bottom of the tutorial I have the setting chart for various Cricut machines to get that "kiss cut". For the "Mr" I used a 3 1/2 inch font size, and for the "Mrs" I used a 1 1/2 inch font size. If I did it again I would use a 2 inch font size for the "Mrs". Either way you will need to have the font size smaller for the "Mrs" to make it fit nicely into the heart shape. Once I have my letters cut I removed them from the backing and placed them directly onto the sticks. I used a flat stick to burnish the vinyl onto the sticks. This is a fancy way of saying I used a flat stick to press and rub the vinyl onto the sticks in the heart. After I burnished the vinyl I was still worried about them falling off since the surface they were on was uneven. To insure that they stayed on, I layered matte medium onto the letters and around the area they are on. Matte medium will dry clear without a shine so you don't have to worry about it messing up your project. I let that dry for a couple hours and then they were firmly attached! I'm very pleased with how they turned out, and I think they look great in our room. So there it is! I hope you guys enjoyed this tutorial and I hope it has inspired you to go out and get creative! And as I've promised below is the table on how to set your Cricut for the all important "kiss cut".